Utah's Online Library provides Utah educators and students free access to high quality reference collections such as EBSCO, Gale Reference Collection, World Book, eMedia and LearningExpress Library. Below are some activities to help educators utilize this amazing resource in their classroom. We would like your classroom ideas, so please take a minute to share them with us. Note: Utah educators and students visiting Utah's Online Library from a school computer should be automatically authenticated. When at home, students must use the home access login which their teacher or school media specialist can provide. Utah educators can use either their my.uen login or the home access login. 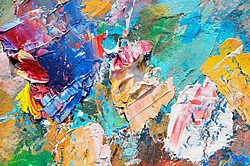 Essential Question: How does art reflect culture? Choose an artist, painter, sculptor, architect, musician who was prominent in the European Renaissance (approximately the 1300s through the 1600s). What were his contributions? What were his influences? How are his art or music a reflection of Renaissance ideals? Students can search for an artist/musician in Utah's Online Library's Gale Biography in Context database. It provides helpful journal articles, encyclopedic entries, websites, and more. It’s kind of like one-stop-shopping for all your biography needs. The Gale Discovering Collection and the Gale Student Resources in Context database also has articles on the European Renaissance. 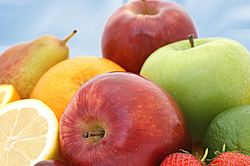 Essential Question: How does what I eat affect my physical health? As students are studying the complex issues surrounding eating disorders, the resources in Utah's Online Library can provide reliable, credible information. What are the symptoms of anorexia and bulimia? What medical complications can arise from these conditions? What are some of the pressures from the popular media that may aggravate these disorders? What are methods of treatment? Can these disorders by prevented? The Gale databases of InfoTrac Student Edition and Student Resources in Context contain helpful magazine and journal articles as well as information from scientific reference sources. Essential Question: How can we be safe in our homes? Have your students develop personal disaster safety plans for themselves and their homes. The EBSCO databases can provide information to help them design plans for floods, fire, earthquakes, terrorism, etc. Start with Explora Middle or High School. Essential Question: Is a good read always a great book? Are your 3rd graders obsessed with Amelia Bedelia and you’re looking for additional engaging books with a similar lexile level? Have your 5th graders magically zoomed through Harry Potter and you’re looking for other fantasy titles? Do you need some book suggestions for a some of your 8th grade reluctant readers? NoveList K-8 Plus is a fantastic tool that can be invaluable in providing lists of great reads for kids. In addition to book recommendations, it also has professional reviews and teaching ideas. You can search by title, author, lexile level, genre, series, subject, etc. Look for NoveList K-8 Plus in the EBSCO databases of Utah's Online Library. You’ll find NoveList K-8 Plus to help you and your students find just the right book. Essential Question: What is the legacy of Booker T. Washington? Do you think his legacy is more about compromise or the importance of education? Booker was born a slave in Virginia about 1856. When he was 9 years old, he and his parents and brother and sister were freed at the end of the Civil War. With his family, Booker walked 200 miles to live in West Virginia. At the age of 9, Booker started to work in a salt mine in West Virginia. He was soon able to begin to go to a nearby black school. Once at school, Booker was told that he needed to have a last name, and so he chose Washington. During his time in school, he also worked in a coal mine. When he was 16 years old, he was able to attend an institute for African Americans in Virginia. He graduated in 1875 and became a teacher in a black school. In 1881, he acquired the job of principal of a small school in Alabama. It was a ramshackle building and had about 30 students. Over the years, Booker T. Washington developed this school into the Tuskegee Institute and built new buildings, recruited more students, and began teaching new and varied skills to all the students. 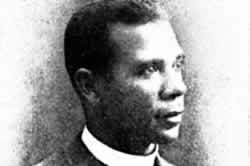 Booker T. Washington became a well-known advocate for African American education and equality. He was also a tireless fund raiser for the Tuskegee Institute, and through his efforts, it became a respected and prominent school. What was the controversy about Booker T. Washington's speech entitled the "Atlanta Compromise?" Why were there mixed emotions among other prominent African Americans about this speech? How did Booker T. Washington's views in this speech differ from other African American advocates for civil rights and equality? Through Utah's Online Library, students can find out more about Booker T. Washington and the Tuskegee Institute. The three Gale databases, Kids InfoBits Grades K-6, Research in Context Grades 6-8, and Reference Collection Grades 9-12 contain magazine and journal articles, images, and book selections that can aid students in their research. The Library of Congress, located in the section called General Resources in Utah's Online Library contains many historical images of Booker T. Washington and the Tuskegee Institute. eMedia contains a video entitled A History of Black Achievement in America: 4 - Blacks Enter the Gilded Age which has a section about Booker T. Washington and the Tuskegee Institute. Essential Question: Why is George Washington Carver sometimes referred to as a "Renaissance Man"? Educator. Scientist. Botanist. Inventor. Researcher. Artist. Consultant. Author. Farmer. George Washington Carver was many things. He was born around 1862 in Diamond Grove, Missouri. He was a slave and was owned by the Carver family. The Carvers had emigrated from Germany and were having difficulty farming their homestead in Missouri. The Carvers claimed that they did not approve of slavery; nevertheless, they purchased slaves, Giles and Mary, to help with farm work. Mary gave birth to many children, most of whom did not survive. It is thought that probably only two sons, James and George, grew to maturity. Not too long after George was born, he and Mary were stolen by thieves who planned to sell them to someone in the south. The Carver family were able to find George, but Mary was gone forever, and George never saw her again. The father, Giles, disappeared, and little is known of him. After slavery ended, the Carver family helped George learn to read and write. They sent him to school and encouraged him to learn. George had always been interested in the plants and flowers that grew on the Carver farm. George eventually graduated from high school and then earned a bachelor's degree in botany from Iowa State College. He continued on and earned a master's degree in science. He began teaching at the Tuskegee Institute in Alabama. Booker T. Washington was the president of Tuskegee and helped advance George's career as a teacher and scientist. George provided invaluable farming advice to farmers in Alabama. George Washington Carver is best known for his work with peanuts and sweet potatoes. 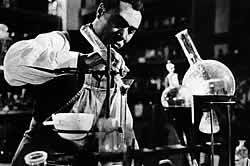 He helped develop new kinds of peanuts and created many products using peanuts such as ink, glue, shampoo, dye, etc. He taught and worked at the Tuskegee Institute for more than 40 years. Leonardo de Vinci was the original "Renaissance Man". Have students research both George Washington Carver and Leonardo de Vinci and compare and contrast their lives and contributions. Utah's Online Library is almost always the best choice for student research. Have students start with EBSCO's Biography Reference Center and Gale's Biography in Context databases. Gale's Virtual Reference Library can add additional information; encourage students to limit their searches by using the menu area on the right and choosing topic overview, critical essay, biography, primary source, excerpt, etc. Essential Question: Why read Shakespeare? Why is the play, Romeo and Juliet, still popular today? Are your students reading Shakespeare’s Romeo and Juliet? 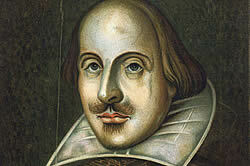 They can enhance their study of Shakespeare through Utah's Online Library. They can learn more about Verona, Italy, the setting of the play. They can research what scholars have said about this famous play. The can unfold everything they always wanted to know about 16th century Elizabethan literature, the age in which Shakespeare lived and wrote. They can investigate the intricacies of the Globe Theatre. Direct your students to EBSCO’s Literary Reference Center for all their Shakespeare needs. Essential Question: How can I convey complex ideas, concepts, and information clearly and accurately through my writing? Students will need to create an account, but it is free. 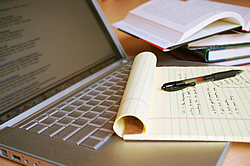 NoodleTools can be a valuable aid to help students learn a systematic research process. Essential Question: How can models help us understand equivalent fractions? Sometimes it's really true that a picture is worth a thousand words. Help student visualize equivalent fractions by having them use your classroom digital camera or a classroom set of mobile devices (such as iPads) to snap photos of fractions they have created. With a partner, have students make a written plan for their fraction photos. Then, using supplies in your classroom, have them set up fraction scenarios and take photos. For example, 2/3 = 4/6. Students could create a setup of 2 red markers and 1 yellow marker (2/3 of the markers are red). Then students could have 6 fellow students stand in a row---4 girls and 2 boys (4/6 of the students are girls). Students could then put both fraction photos that they took into a program like Powerpoint to visually demonstrate their equivalent fraction photos. They could add appropriate sentences underneath each photo in the Powerpoint to clearly explain their fraction picture or they could have classmates try and ascertain the correct equivalent fractions. Follow up the activity with a review of equivalent fractions from the excellent math videos located in Utah's Online Library's eMedia. Essential Question: Why do rocks come in so many different shapes, sizes, colors, and textures? 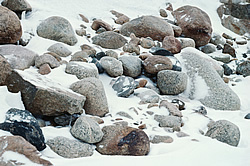 Need some more resources for your 2nd graders to learn about the characteristics of rocks? And, of course, you need it to be at a reading level appropriate for 2nd grade. Explora Elementary, which is part of the EBSCO database in Utah's Online Library, has a variety of magazine articles from child-friendly publications such as Ranger Rick, National Geographic for Kids, Cricket, Weekly Reader, Cobblestone, etc. Within this kid-friendly database, you can search by lexile level in order to find appropriate resources for your students. Essential Question:How do frogs change and grow? How do organisms change as they go through their life cycles? It's always interesting for students to explore the life cycle of insects, amphibians, reptiles, and mammals. The life cycle of frogs offers students a pattern for life cycles of amphibians. The databases in Utah's Online Library have many resources that offer students frog and tadpole content at their own reading level. Frogs are amphibians. 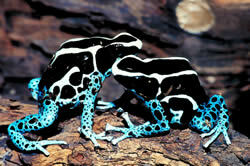 The word amphibian literally means "double life" which is an indicator of their life cycle. They begin their life as water creatures (tadpoles) and then change into land-dwelling frogs. Frogs are vertebrates which means that they have a backbone. They are cold-blooded. After female frog eggs are fertilized, they are called spawn. They are surrounded by a jelly-like substance to protect them. Most eggs are laid in water so that they can stay moist. Inside the eggs, the frog embryos grow and develop into tadpoles. When the eggs hatch, the tiny tadpoles float off into the water. Like fish, they are able to breathe underwater through gills. At first, the tadpoles cannot swim because their tails are not developed. So they hide at the bottom of their watery area to avoid predators. Within a few days, they have grown tails and can swim and eat and grow larger. As the tadpole grows, its tail eventually disappears, and long legs develop in the back of the tadpole and then shorter legs in the front. The gills of the tadpole are soon replaced by lungs so that it can breathe on land. Its mouth grows larger, and it develops a long tongue. Its life cycle is complete, and it is a frog! Besides life cycle information, students may want to become frog explorers and research different kinds of worldwide frogs. Gale's Kids InfoBits Grades K-6 has information about small, colorful, Amazonian poisonous tree frogs as well as enormous African frogs. Students could create Venn diagrams comparing 2 frogs from different parts of the world. For example, the Goliath frog which lives in Africa is 12 inches long and weighs 7 pounds. The Gold frog which lives in Brazil is about ½ inch long. Students can use presentation-type tools such as PowerPoint, Glogster, Prezi, etc. to create short presentations about the types of adaptations that help frogs be successful in their particular environment. For example, frogs in hot desert areas often dig into the sand and bury themselves to avoid daytime temperatures. Most frogs have large eyes, and the placement of their eyes on top of their head helps them find food and more easily see predators. The long legs of frogs helps them jump long lengths in order to catch flying insects as well as escape from predators. Have students use their research skills to locate information about the difference between a frog and a toad. Gale's Kids InfoBits Grades K-6 contains 20 pictures, more than 1,100 magazine articles, and frog information excerpted from over 70 books. Digital Science Online has a video series about amphibians (from the menus on the left, choose Primary for the grade level and then choose Life Science to see the available videos). 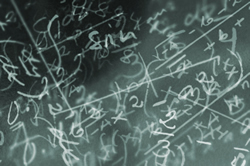 Digital Science Online is also available in Spanish. World Book Encyclopedia has audio files of croaking frogs as well as short video clips in addition to encyclopedia information. Essential Question: How does gravity work? How does gravity affect life on Earth? Gravity keeps the Earth orbiting around the sun and keeps the moon orbiting around the Earth. It keeps us and everything else on the earth from floating off into space. 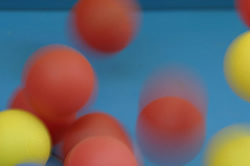 What is the relationship between gravity, mass, and motion? What role does gravity play in the solar system and universe? How does gravity affect our everyday lives? Utah's Online Library has gravity resources that are appropriate for 3rd grade learners. Gale's Kid's InfoBits has magazine articles, and the articles even have a read aloud feature. Kid's InfoBits also has encyclopedic information as well as images. 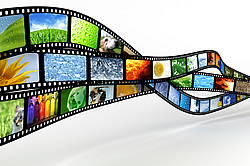 Look for great gravity videos in eMedia. Limit your results in eMedia by searching for gravity using the Search by Utah Core feature from the menu on the left; your search results will include only those gravity videos designated for 3rd grade. Essential Question: How does the sun affect the Earth? The sun is the source of heat and light for living things on planet Earth. The sun is what makes it possible for living things on Earth to live, grow, and survive. There are many resources about the sun for your students in Utah's Online Library that are at an elementary reading level. Gale's Kids InfoBits has 91 book and encyclopedic articles, over 400 magazine articles, and 15 images---all about the sun. Specifically, find the article called "The Sun: It's a Superstar!" from the magazine, Ranger Rick. This article covers some of the key elements of 3rd grade science core about the sun, and it's at a level that your students can read. And most of the articles in Kids InfoBits have a read-aloud feature. Students can click on the word "Listen" above each article to hear the text read. World Book Encyclopedia has an article, images, and videos about the sun. After choosing World Book from the main Utah's Online Library page, have 3rd graders choose World Book KIDS rather than World Book Student. The interface of World Book Kids is simpler, and the information is written at a lower lexile. 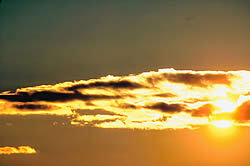 For teachers, eMedia has several short videos about the sun. From the menu on the left, choose Search By Utah Core in order to be able to limit your video choices to a 3rd grade level. Essential Question: How are clouds part of weather systems? Cumulus, cirrus, stratus, cumulonimbus…. 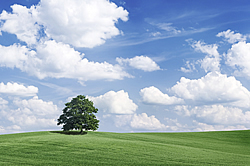 Have your students keep a cloud journal for two weeks and record the types of clouds they see each day. Essential Question: How do fossils provide evidence about plants and animals that lived long ago? Scientists with the National Park Service recently declared Dinosaur National Monument which is located in northeast Utah and northwest Colorado as one of the quietest places in the lower 48 states. According to one source, it’s so quiet there that you can hear a coyote sneeze! 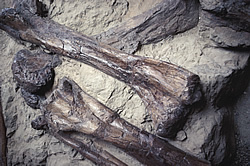 Dinosaur National Monument is one of the premier places in the world to view and learn about fossils. 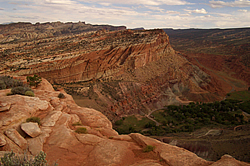 In addition, Utah's Online Library's eMedia has excellent videos and still images for your students as they learn about how fossils were formed. Gale’s Kids InfoBits has many fossils resources; students can search for fossils and then choose whether they want magazine articles, books, pictures, or news. Essential Questions: How are living things classified? How can we use the observable properties of organisms to group them? Spiders are arachnids - not insects. An insect's body has 3 main parts (a head, a thorax, and an abdomen), and all insects have 6 legs. Since a spider is not an insect, its body is different. It has 2 body parts (a cephalothorax and an abdomen). All spiders have 8 legs. All spiders are carnivores. They mostly eat insects or occasionally each other. Some larger spiders even eat small birds and small rodents. Using the resources in Utah's Online Library, have your students do further research about spiders. Have them identify types of spiders that fit into each of the 2 groups. For example, black widow spiders fit into the group of spiders that catch their prey with a web. Tarantulas fit into the group that catch their prey by hunting and attacking. As they are gathering further information about spiders, have students brainstorm other ways that spiders might be classified. 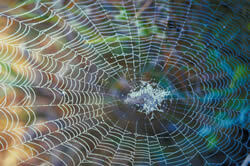 For instance, some spiders could possibly be classified by the types of webs that they spin. sheet webs - These webs are very common. They are flat and often found over the tops of plants and bushes. funnel webs - Spiders usually hide the bottom of their funnel webs. When an insect becomes trapped at the top of the sticky, silken web, the spider comes out and drags the insect deep into the web before it eats it. tangled webs - They are not sticky as most webs are. But their tangled construction still causes prey to be trapped. orb webs - Orb webs are the kind of web that we usually associate with spiders. They look like concentric circles with connecting vertical lines. These webs are not very strong and often have to be repaired or even rebuilt every day. Gale's Kids InfoBits has 80 book excerpts about spiders, 894 magazine articles, and 56 really excellent pictures. Ebsco's Explora Elementary has encyclopedic information, magazine articles, and images. Essential Question: Why do animals live where they do? 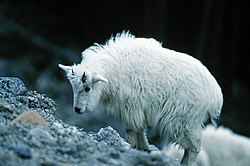 How are Utah’s elusive mountain goats adapted to living in the Wasatch Mountains? Students can locate animal adaptation information in Utah's Online Library's World Book Encyclopedia and also in the Gale databases Kids InfoBits and InfoTrac Junior Edition. Essential Question: How do earthquakes shape and form the surface of the Earth? What is the relationship between earthquakes and plate tectonics? Explain what hypocenter and epicenter mean in terms of an earthquake. Create a diagram of an earthquake that includes the inner core, outer core, mantle, and crust of the Earth. Explain earthquakes in terms of seismic energy and seismic waves. How can earthquakes change landforms? What do geologists use to measure and earthquake activity? Can scientists predict when earthquakes will occur? 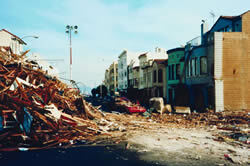 How can we minimize damage from earthquakes? Map the major earthquake faults in Utah. Utah's Online Library contains resources and answers for all of these earthquakes queries and more. Gale’s Science in Context database is full of reliable, current, and relevant earthquake information. Students will find magazine articles, academic journals, websites, statistics, newspaper articles, images, and videos----all about earthquakes. Remember to steer your students to Utah's Online Library for science assignments and research. What is a seiche? (It’s pronounced saysh). What does a seiche have to do with earthquakes? How can a seiche occur in your backyard swimming pool, in the ocean, in a lake, and even in a glass of water? No need for Google. Students can find the answer to this and other mysterious science vocabulary terms in Utah's Online Library's databases. EBSCO’s Explora Elementary and Middle Schools will tell them everything they always wanted to know about a seiche. Essential Question: How does the surface of the earth change? Mountains are formed in a variety of ways. Fold mountains are created when tectonic plate collide or push against each other, causing the surface of the Earth to buckle and fold upward. Dome mountains are formed when magma below the surface of the earth pushes upward but doesn't actually break the surface of the earth. The magma pushes rock layers upward. The magma eventually cools and solidifies into hard rock. 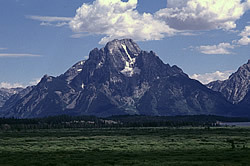 The upward thrust of the magma and below-the-surface rocks forms a dome mountain. Volcanic mountains are formed when volcanoes erupt. Molten rock below the surface of the earth is called magma. Once magma breaks through the surface, it is called lava. When volcanic lava cools, it forms rock and mountains. Fault-block mountains are formed when cracks or faults in the surface of the earth cause parts of tectonic plates to move upward or downward and break into blocks or chunks. Plateau mountains are also called erosion mountains. They are formed when water (usually rivers) erode portions of the surface of the earth. The running water creates deep crevices, and the un-eroded portions of the surface become plateau mountains. Students can use the excellent resources in Utah's Online Library to begin their exploration of worldwide mountains. Have them determine the type of mountain and the continent for each of the mountains listed. EBSCO's Science Reference Center is a good place to start for students to understand the physical processes that shape the earth's surface. Essential Question: Why explore space? The dark side of the moon is only called “dark” because we never see it, and so it is considered mysterious and “dark”. It actually reflects light from the sun in the same way that the side that we see reflects light. And NASA has many pictures of the far side of the moon. Have students construct a diagram visually showing why we never see the far side of the moon from the surface of the Earth. 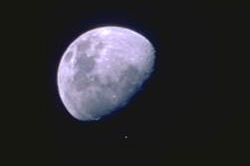 The resources in Utah's Online Library such as Gale’s Research in Context Grades 6-8 can help students with their moon research. Essential Question: How do the seasons of the Earth affect our lives? When it’s summer in Salt Lake City and Chicago, it’s winter in Rio de Janeiro and Sydney, Australia. Why? Direct students to the science resources in Utah's Online Library to research and explain how the tilt of the Earth and its orbit around the sun produces the seasons. World Book Encyclopedia has easy-to-access information as well as a great graphic showing the tilt of the Earth on its axis. 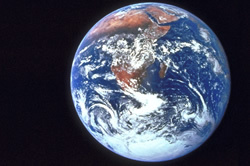 Digital Science Online has 3 short videos that help explain the tilt of the Earth. Gale’s Science in Context has dozens of articles and other resources including a 4-minute video about the seasons from Khan Academy. Essential Question: How do scientists classify objects in outer space? Why did Pluto lose its designation as a planet? What new specifications do scientists now use to designate a heavenly body as a planet? Students can use the resources in Utah's Online Library to research relationships and attributes of objects in the solar system. 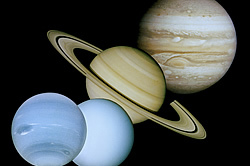 EBSCO’s Science Reference Center has in-depth information about the eight planets as well as information about asteroids, the sun, black holes, supernovas, comets, and space exploration. Essential Questions: How does acid rain affect animals, plants, air quality, and our environment in general? What part do humans play in acid rain? How can individuals, corporations, and worldwide governments make better choices about the global environment? Acid rain is also called toxic rain. 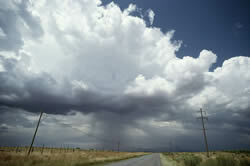 It is occurs when chemicals in the atmosphere mix with water vapor, and the resulting rain contains toxic chemicals. One of the most common causes of acid rain is the burning of fossil fuels which releases chemicals such as sulfur dioxide and nitrogen oxide into the atmosphere. When these combine with water vapor, they form sulfuric acid and nitric acid which then fall to the earth in the form of rain, fog, or dew. How does acid rain affect soil and the vegetation growing in that soil? How does it affect aquatic life? How does it affect worldwide animals? 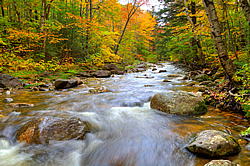 How have forest ecosystems been impacted as a result of toxic rain? What is its effect on untreated water in reservoirs? What part does acid rain play in damage to historic buildings? How has it affected statuary and monuments? Not all acid rain is caused by the burning of fossil fuels. What part do volcanoes play in the formation of acid rain? What parts of the world are the most vulnerable to acid rain? There are many resources in Utah's Online Library to help students research the far-reaching effects of toxic rain. Gale's Global Issues in Context has topic overviews, articles, and even images dealing with acid rain (you can see a picture of the effect that acid rain is having on the Taj Mahal). Gale's InfoTrac Newstand has hundreds of articles from around the world about toxic rain; when using this particular database, in terms of searching, acid rain is also referred to as acid deposition. Gale's Science in Context has videos, images, news articles, academic journal entries, experiments, etc.---all dealing with acid rain. Essential Question: What is citizenship? How can the words and phrases in the Pledge of Allegiance help me be a better citizen? Why do we recite the Pledge of Allegiance in school? How is the Pledge of Allegiance a symbol of our nation? What is patriotism? Many students participate in the Pledge of Allegiance in their classrooms. Why do we stand when we say the Pledge of Allegiance? Why do we often put our hands over our hearts? Why do we usually look at the flag while reciting the pledge? Help your students understand key vocabulary elements of the pledge. What is a pledge? What is the meaning of allegiance? What does it mean to be indivisible? The pledge was written by Francis Bellamy and was first published in a magazine called The Youth's Companion in 1892. Over the years, a few words have been added to the pledge. In 1924, the words "my flag" were changed to "the flag of the United States of America". In 1954, the phrase "under God" was added. As your students are learning about the U.S. 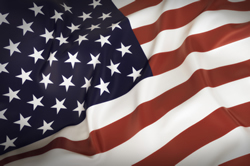 Pledge of Allegiance, the resources in Utah's Online Library can broaden their understanding. Kids InfoBits contains 15 magazine articles about the pledge that are written at a lexile level appropriate for young students; these articles are from such sources as Weekly Reader, Junior Scholastic, Appleseeds, and Hopscotch. EBSCO's Explora Elementary contains additional magazine articles with age-appropriate lexile levels as well as a collection of images related to the pledge. Essential Question: How do national symbols unite us in feelings of patriotism and in common causes? Thanksgiving: What are its true origins? How long have Americans officially celebrated Thanksgiving? Are there other countries that observe days set aside for giving thanks? The famous cracked Liberty Bell…..what is its story? How did it crack? How is it a lesson in quality control? In 1751, the people of Philadelphia wanted a bell for the large building that they used as an assembly hall (also called the State House and later called Independence Hall). So they ordered a bell from England, and it arrived in 1752. It was hung in 1753. At the very first long-anticipated ringing of the bell, it cracked. Rather than send it back to England, two men, John Pass and John Stow, were hired to fix it. Mr. Pass and Mr. Snow melted the bell down, added some copper to it to make it stronger, and cast a new bell. When this new bell was first rung in late 1753, it sounded bad! Too much copper in its composition caused it to not have a melodious ring. So Mr. Pass and Mr. Snow melted the bell down again. This time, they added tin to the melted metal. When this bell was rung, it sounded a little better but still didn't sound as good as the people of Philadelphia wanted. So they ordered a new bell from England. In the meantime, the less-than-perfect-sounding re-cast bell was hung in the steeple of the State House. When the English bell arrived, it was hung in the clock tower of the State House. But it was the American-made steeple bell that was rung for important occasions and which later became known as the Liberty Bell. In 1775, at a special meeting in Philadelphia, the Declaration of Independence was written by delegates from each of the 13 colonies. The declaration was first read aloud to the public on July 8, 1776 just outside of the State House. At the end of the reading, bells around the city rang out, including the bell in the State House steeple. During the course of the American Revolution, the new American colonies were fearful that the British would capture cities, steal their bells, and melt them down to make ammunition and cannons. In 1877, the bell in the Philadelphia State House was taken down (along with other Philadelphia bells) and hidden. At the end of the war, bells were returned to their original places. For many years, the bell in the State House continued to be rung for important occasions in Philadelphia. 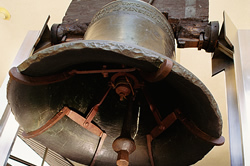 No one is sure when and how the twice-refurbished bell broke again. But it was officially determined to have a crack in 1835. And for many years after that, it was quiet and somewhat forgotten. Then in 1846, the bell (now called the Liberty Bell) was chosen to ring as part of a celebration of George Washington's birthday. Workers drilled some strategically placed holes in the bell to keep its cracked edges from rubbing against each other. When it was rung for the birthday celebration, however, it cracked even more, and the damage was permanent and un-fixable. That was the last time that the Liberty Bell ever rang. Over the years, the Liberty Bell became a symbol of freedom to people supporting the abolition of slavery, to women seeking voting rights, and to people championing the basic rights of all individuals. Utah's Online Library has numerous resources to aid students in their study of the Liberty Bell. Using Gale's Kids' InfoBits, EBSCO's Explora Elementary and Middle Schools, and World Book Online Encyclopedia, younger students can find images, magazine articles, and encyclopedia information about the Liberty Bell. Secondary students will find Gale's Research in Context Grades 6-8 a helpful resource as well as Gale's InfoTrac Student Edition. In InfoTrac, have students do an initial search for "liberty bell" and then choose Content Type from the menu on the right to further narrow their search. Essential Question: How and why do Americans celebrate Thanksgiving? In 1789, in the first few months of his presidency (he became president in April 1789), George Washington, proclaimed that Thursday, November 26th, would be a special day of "public thanksgiving and prayer". But this special day was just to take place in 1789. When did a day of thanksgiving become more official? In 1863, President Abraham Lincoln encouraged Americans to set aside the last Thursday of November as a special day for giving thanks. This was in the middle of the Civil War. What might have prompted President Lincoln to encourage citizens to give thanks? It wasn't until 1941 that Thanksgiving became an official day for Americans. Who signed the bill to establish the fourth Thursday of every November as Thanksgiving? Have your students do some additional research to fill in some Thanksgiving details of how/if Thanksgiving was observed between 1789 and 1941. Why is turkey traditionally served? How did cranberries and pumpkin pie become part of the Thanksgiving menu? Gale's Kids InfoBits K-6 has magazine articles, books, and news articles. World Book Encyclopedia has articles and even websites. In World Book, click on Related Information at the top of each article to view related websites. EBSCO's Explora Elementary School has magazine articles, newspaper articles, and even primary sources. Have your students turn Thanksgiving into a graphing activity. They could poll their friends and families about favorite kinds of pies and graph the results. 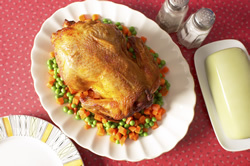 They could gather data about what part of the Thanksgiving menu people like the most (stuffing? sweet potatoes? pie? turkey?, etc) and graph the results. They could compile a list of things that people indicate that they are thankful for and graph the results. If you have students from other countries in your classroom, have them share about possible celebrations that occur in their country where specific special foods are eaten. Early Native Americans, of course, lived in the Utah area long before explorers and settlers arrived in the west. In the late 1700s and early 1800s, others began discovering, exploring, and mapping what is now Utah. Students can find out more about Silvestre Vélez de Escalante, Francisco Atanasio Dominguez, and Jim Bridger; all were early explorers of Utah. Did you know that World Book Encyclopedia Online which is part of Utah's Online Library is customized just for Utah learners? On the main page of World Book Student, click on World Resources on the left, then Interactive maps. Utah should pull up on the map with a links to more information. Students can begin their Utah investigations using this student-friendly resource. Essential Question: How did the Buffalo Soldiers contribute to the growth of the U.S. western frontier during the 1800s? How did they serve their country in the 20th century? Buffalo Soldiers were African-American soldiers who were part of all-black regiments of the U.S. Army. These special regiments had been created by the U.S. Congress in 1866. There were eventually two cavalry regiments and two foot soldier regiments. Each regiment consisted of about 1,000 men. The regiments were part of the regular U.S. army, but they lived and served separately from white regiments. Much of the early service of the Buffalo Soldiers involved keeping peace in the West—in the frontier of the westward expanding United States. It is said that the name Buffalo Soldiers was given to these regiments by Cheyenne Native Americans who were in battle with them; the Cheyenne thought that the soldiers fought fiercely and strongly like buffalo. Other documentation indicates that the name came from Native Americans who, in addition to citing bravery in battle, also noted the thick, curly hair of the soldiers and thought that it was similar to buffalo hair. What role did the Buffalo Soldiers play in the "taming" of the West? How were they treated in the forts that were erected for settlers? Were they treated the same as the white soldiers? How were they involved with the expansion of telegraph wire to link the outlying areas to eastern cities? What was their relationship with Native Americans? How were the Buffalo Soldiers involved with the new Indian reservations? What was their relationship with the famous Apache Indian chief, Victorio? What was their involvement with Mexican bandits? How did they help stagecoaches? What was their involvement with the infamous massacre at Wounded Knee Creek in South Dakota? What role did they play in the Spanish American War in 1898? How were Buffalo Soldiers involved with President Theodore Roosevelt? The majority of young Buffalo Soldiers joined the Army in the years after the Civil War. However, new recruits continued to join even into the 20th century. All-black Buffalo Soldier units served in World War I, World War II, and the Korean War. In 1953, when all Army regiments became desegregated, the Buffalo Soldiers became part of history. 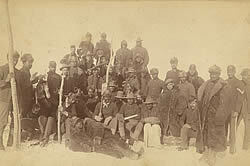 Utah's Online Library has abundant resources about the Buffalo Soldiers. Check out Gale's Kids InfoBits Grades K-6 and EBSCO's History Reference Center. Gale's Research in Context Grades 6-8 has biographies of some of the soldiers, images, magazine articles, and a variety of other reference materials. Gale's Reference Collection Grades 9-12 is an excellent resource for secondary students and provides many academic journal articles, magazine articles, book excerpts, and newspaper articles. Essential Question: How did the battles at Bull Run affect early attitudes and confidence about the purposes of the Civil War? Bull Run was one of the earliest battles of the American Civil War. And there were actually two battles at Bull Run. The Bull Run battles are also known as the Battles of Manassas (this is the name that the Confederate army gave the battles). Manassas Junction, Virginia was a town about 30 miles southwest of Washington, D.C. It was a small town, but it had a strategic railway line. Fort Sumter had been fired on in April 1861. The first Battle of Bull Run took place in July of 1861, and so the war was new, and new-recruit soldiers were still unseasoned. The Union army (with soldiers still "green" and not yet fully trained) was pressured to attack the Confederate army near a creek called Bull Run which was just north of Manassas Junction. 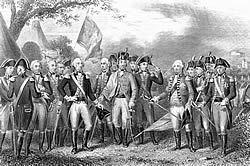 Who were the key military officers on both sides of the battle? Why was the Union army pressured to begin this battle? Which side won the battle? What were the consequences of the win for the victors? What were the consequences for the side that lost? How many soldiers were killed on both sides? 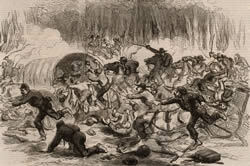 A second battle took place at Bull Run in August of 1862. This was battle was larger, longer, and more deadly. Who were the key military leaders on both sides? Which side won? What were the consequences of Second Bull Run for both sides of the conflict? Students can use the great Utah's Online Library tools to further their research of Bull Run as well as other Civil War events. Many of the EBSCO and Gale resources are magazine and journal articles which means student researchers will access a wide variety of hits as they do their initial research. Be sure to remind them to use quotation marks around search terms such as "bull run". This will help limit their hits to articles specifically about the Battle of Bull Run. If they search for just bull run (with no quotation marks), they will get articles that simply contain the words bull and run somewhere in the text which means that their search will result in articles about the running of the bulls in Pamplona, Spain. For help with searching databases successfully, see your school librarian who is an information expert. Gale's Research in Context Grades 6-8 has over over 150magazine/journal articles about Bull Run as well as many other reference materials including primary sources. Gale's InfoTrac Student Edition has over 400 magazine/journal articles as well as books, newsarticles, and images. Gale's Student Resources in Context has encyclopedia information and over 300 magazine/journal articles. From the menu items on the right, click on Reference which will narrow the hits somewhat and will offer excellent information. EBSCO's Explora - Elementary, Middle and High School has articles and images. World Book Encyclopedia has an article about Bull Run as well as maps. Essential Question: How can what is happening right now in the world help us make connections to the past, to the present, and to ourselves? Do you need a convenient way to help teach the following section of the 6th grade Social Studies core? Explore current global issues facing the modern world and identify potential solutions. a. Investigate pressing issues facing the world. b. Identify potential solutions to pressing issues. c. Identify individuals and groups making positive changes in the world today and support these choices with evidence. Utah's Online Library's World Book Encyclopedia has a Behind the Headlines section in the Student section. The information changes daily and reflects what is going on in worldwide news. Once a week (or once a month), access World Book and project the main Student page for your students. Choose one of the headlines and discuss it as a class or have students break into groups and discuss. Who knew World Book was so versatile? Behind the Headlines can also support the 5th grade social studies core objective where students are asked to identify a current issue facing the world and propose a role the United States could play in being part of a solution. Essential Question:How did Frederick Douglass use his oratorical skills to promote freedom for all people? Frederick Bailey was born into slavery in Maryland about 1817 or 1818. His mother was sold to a neighboring farm when he was a young child, and he was cared for by his grandmother. He never knew who his father was, but it was surmised that his father was probably the master of the plantation where Frederick was born. The owner of that plantation was Aaron Anthony. When Frederick was about 8 years old, Mr. Anthony sent him to Baltimore to be loaned out to relatives, Hugh and Sophia Auld. The Aulds had never had a slave before. Sophia Ault was kind to Frederick. She began to teach him to read because she didn't know that slaves were not supposed to be given that opportunity. When her husband realized that reading lessons were taking place, he stopped them immediately. Frederick later wrote that Hugh Auld told Sophia, "If you teach him how to read, there will be no keeping him. It would forever unfit him to be a slave." Frederick Bailey, however, continued to learn on his own. He would scratch letters in the dirt. He read signs and posters as he went about the town doing work for the Aulds. By the time he was 12, he was able to read newspapers that he came across as he frequented the shipyards of Baltimore. He learned about the abolition movement from these newspapers. When Frederick Bailey was 15 years old, his original master, Aaron Anthony died. Frederick was required to return to the plantation because he was part of the property that needed to be divided up. Frederick was hired out to work for a neighboring farmer. Secretly, he began to teach other slaves to read by scratching words in the soil. He and a few other slaves made plans to escape. One of the house slaves stole paper and a quill pen, and Frederick wrote notes for himself and the other slaves giving them permission to travel to Baltimore. Their plan was discovered, and the slaves were sent to jail for a week. Frederick was eventually sent back to Baltimore to the Auld family. Within a few years, he was helped by the Underground Railroad network and escaped to New York. Frederick changed his name to Frederick Douglass. He became a lecturer and author. He made his way throughout the North and gave speeches as part of the abolition movement. He travelled to Great Britain and gave anti-slavery lectures there. In the 1840s, he started an abolitionist newspaper and wrote several books about his life as a slave. Frederick Douglass's legacy became about education and learning and dignity and freedom for all human beings. Have students write about what their lives would be like if they were not allowed to learn to read. Students could research about Frederick Douglass's travels to Great Britain, about how he was received there, and about how he considered moving his family there. Who was William Lloyd Garrison? Students could write about Frederick Douglass's relationship with Mr. Garrison. Even though Frederick Douglass lived in New York and Massachusetts which were non-slave states, he was still considered to be a fugitive slave. He and his wife were ever mindful of being ambushed by "slave catchers". Have students research how slave catchers worked, if what they did was legal in the North, and what happened to slaves who were captured and returned to the South. What was the relationship between Fredrick Douglass and Abraham Lincoln? Gale's Biography in Context which is part of Utah's Online Library is a great resource for student research. 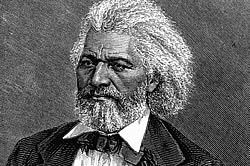 The database contains detailed biographical information about Frederick Douglass. It also contains many academic journal articles and magazine articles about Douglass. Biography in Context is helpful in that it also links to external websites for even more information. EBSCO's Biography Reference Center has many different biographies of Frederick Douglass that students can choose from. The interface in EBSCO's Biography Reference Center is easy to navigate and provides interesting browsable biographical collections from the menu on the right. Essential Question: How did Harriet Tubman devote her life to helping slaves escape to freedom and in furthering the rights of African-Americans? Harriet Araminta Ross was born in Maryland in either 1819, 1820, or 1821 (sources differ). She and her parents and 10 siblings were owned by the Brodas family and worked on the Brodas plantation. Harriet's mother was also named Harriet, and so young Harriet was usually called Minty when she was a child. Young Harriet worked in the fields as a child and was also loaned out to neighboring families to do farm work and house work. Have students make a timeline of the events in Harriet Tubman's life. Have them include an incident where Minty took a taste of sugar from a home that she was working in and a time when she refused to chase after a slave and was hit in the head with a heavy weight. Have them include her marriage to the freeman, John Tubman. They can include her escape to freedom, her activities to help other runaway slaves, and her years as a conductor on the Underground Railroad. Encourage students to locate actual photos of Harriet to use in their timeline. They could locate and include an image of the ad that her master, Mr. Brodas, posted offering a reward for her capture and return. They could include her efforts in the Civil War, her time in New York, and her marriage to Nelson Davis. Harriet helped over 300 people escape to freedom. She and the people she helped were never caught; Harriet had a 100% success rate. How was Harriet Tubman influenced by Nat Turner? Why is she sometimes referred to as "Moses"? How many of her family members did Harriet eventually help escape? What happened to her husband, John Tubman? What are some of the different ways that Harriet helped people escape? How much was the reward for her capture? What role did Harriet play in the Civil War? 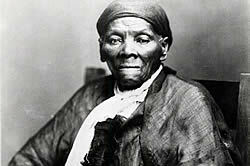 Utah's Online Library has many aid students in their study of Harriet Tubman. Have students use EBSCO's Explora Elementary to locate details of Harriet Tubman's life (from the list of hits, filter the results by choose Biography from the choices at the top of the page). Gale's Kids InfoBits Grades K-6 has more than 60 magazine articles, 3 images, and several excerpts from books. 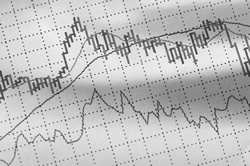 Articles in Kids Search and Kids InfoBits are geared to primary-aged reading levels. Gale's Research in Context Grades 6-8 has audio files of broadcasts and podcasts about Harriet Tubman as well as magazine, biography, and reference choices. Gale's Reference Collection Grades 9-12 contains more than 600 academic journal articles, numerous book excerpts, and archival images. When using Gale's Reference Collection 9-12, be sure and use the Limit Search by feature from the menu on the right and choose Full Text. eMedia contains the Reading Rainbow video of Follow the Drinking Gourd. In Utah's Online Library, students will also find numerous resources for their study of the Underground Railroad to supplement their study of Harriet Tubman. Essential Question: What is a hero? As a class, compile a list of character traits that might be part of hero’s nature. Students can choose a hero of the American Revolution. Using the research resources in Utah's Online Library, have them develop a presentation about their hero and defend their choice. Gale’s Biography in Context and EBSCO’s Biography Reference Center will be helpful resources for this type of activity. Students could also use the fabulous World Book Encyclopedia. Essential Question: How can sports influence societal attitudes? How did Jackie Robinson influence the Civil Rights Movement? Jack Roosevelt Robinson was born in 1919 in Cairo, Georgia. He was the youngest of five children. His grandparents had been slaves. His parents were share-croppers. His father left when Jack was a baby. His mother, Mallie, had relatives in California, and she moved with her five children to southern California. Mallie worked as a maid and eventually bought a home near Los Angeles. Jackie was very good at sports when he was in school. By the time he was in high school, he excelled at track, baseball, and football. Jackie's brothers, Mack and Frank were also good at sports. His brother, Mack, qualified in track to go to the 1936 Olympics in Germany. The gold medal in the 200-meter dash was won by Jesse Owen, and Mack won a silver medal in the same event! He arrived at the finish line only a half second behind Jesse Owens. The sports acclaim did not ultimately help Mack in the non-sports world. He eventually took a job as a street sweeper because there were so few opportunities for African Americans. Jackie was accepted to UCLA and became a star basketball player. He also successfully played on the football, golf, and tennis teams. He chose to leave UCLA in order to earn money. He worked at a few jobs including playing semi-professional football in Hawaii. He left Hawaii just days before the 1941 attack on Pearl Harbor. He was soon drafted into the army and was able to attend Officer Candidate School. What were the circumstances around an accusation and military trial that Jackie was involved in while at Fort Hood, Texas? Jackie was discharged from the Army in 1944 and soon began playing for one of the all-black baseball teams, the Kansas City Monarchs. As Jackie toured around the country with the baseball team, what was life like for them? Where did they sleep when they were in a town with no all-black hotel (since they were not allowed to stay in a white hotel)? Have students describe how Jackie came to be recruited by the Brooklyn Dodgers in 1945. Trivia question: How did the Dodgers get the name "dodgers"? What were some of the obstacles that Jackie faced as he first began playing for the Dodgers' minor league team called the Montreal Royals and then eventually for the Brooklyn Dodgers? What was Jackie Robinson's involvement with Martin Luther King, Jr. and the Civil Rights Movement? 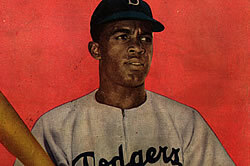 Jackie Robinson became the first African American ever inducted into the Baseball Hal of Fame. Utah's Online Library has student-friendly information for students who want to learn more about Jackie Robinson. EBSCO's Explora Elementary provide information at reading levels appropriate for primary-aged students. EBSCO's Explora Middle and High School lets students narrow their searches by choosing whether they want magazine articles, newspaper articles, biographies, books/encyclopedias, primary source documents, or images. Essential Question: How did the Mayflower Compact help the Pilgrims establish their colony?? Why are rules important to the success of a classroom, a colony, a state, a country? How can communities or classrooms or countries work together cooperatively to accomplish goals? 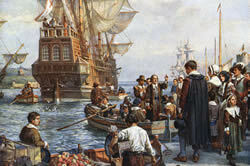 The Mayflower arrived at the coast of what is now Massachusetts in early November of 1620. Before the ship's passengers ever went ashore, they developed a document known as the Mayflower Compact. A compact is a set of rules and formal agreements and goals. The Mayflower Compact established rules and a plan to govern the new colony. How and why are compacts important for a new society? How did the Mayflower Compact influence later American documents such as the U.S. Constitution? Have your students find out more about the Mayflower Compact. Gale's Kids Infobits has excerpts from 7 books about the Mayflower Compact. All of the information is from books written specifically for young readers with appropriate reading levels. It also has 2 image recreations of the signing of the compact. EBSCO's Explora Elementary has magazine articles, encyclopedic information, and even a reader's theater-- all about the Mayflower Compact. Using what they have discovered about the Mayflower compact, have your students develop a Classroom Compact. Some of the individuals who signed the Mayflower Compact were John Carver, Edward Tilley, Degory Priest, William Bradford, John Tilley, Thomas Williams, Edward Winslow, Francis Cooke, Gilbert Winslow, William Brewster, Thomas Rogers, and Myles Standish. Why did no women sign the compact? Have your students choose one of the signers of the compact and use Utah's Online Library to find out more information about him and any later contribution that he may have made to Plymouth Colony. Essential Question: Can one person change the world? The man known as Nelson Mandela was named Rolihlahla at his birth in 1918. His father was chief of the Thembu tribe in South Africa. His father had three wives and thirteen children. Rolihlahla was the first child of his father's 3rd wife. 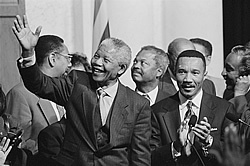 Have students research the life of the remarkable man we know as Nelson Mandela. What was his life like as a young child? How did he come to live with another tribal chief named Jongintaba? How did his life change after he moved to the household of Jongintaba? How did Nelson Mandela's education prepare him to have a job during the 1940s? South Africa had a system of segregation called "apartness"; in Afrikaans, the main language of the majority white settlers of South Africa, the word was "apartheid". Have students research what apartheid was and what life was like for black South Africans under apartheid. How did Nelson Mandela come to be imprisoned? How long was he imprisoned? After his release, what are some of the things that he accomplished as the first black president of South Africa? How has the life and legacy of Nelson Mandela changed the lives of black individuals throughout the world? If students are using Gale Reference Collection Grades 9-12, they can use the Power Search feature at the top of the listing of databases. They will find more than 6,700 magazine articles, articles from more than 2,000 academic journals, more than 150,000 newspaper articles, and dozens of images, videos, and audio files. If students want to analyze which topics are referred to most frequently in the various articles, they can scroll down the menu on the right of the Power Search hits and choose Topic Finder. They will see a visualization in either wheel or tile layout. Essential Question: How did Rosa Parks's refusal to give up her seat on the bus eventually impact segregation laws? Can one person make a difference? Rose Louise McCauley, born in 1913 in Alabama, spent much of her younger years living with her maternal grandparents who had both been slaves. She married Raymond Parks when she was still in high school. He was a barber and an advocate for civil rights. When Rosa graduated from high school in Montgomery, Alabama, she became a seamstress. Both she and her husband were members of the NAACP, and she was active in that organization. She helped African Americans register to vote. She worked with youth groups to teach them how to be advocates for African Americans. She refused to drink out of drinking fountains that were designated for blacks only. How was Rosa Parks influenced by Claudett Colvin? What kinds of similar events took place in both of their lives? On December 1, 1955, Rosa took her most famous stand for the rights of African Americans. The law on busses was that African Americans had to sit in the back of the bus. They also had to give up their seat for a white person if the bus was crowded. Bus seats usually were wide enough for 3-4 people to sit there. If a white person wanted the seat, all 3 or 4 African Americans had to relinquish the seat so that the white person did not have to sit next to a black person. As Rosa was coming home from work on December 1st, the bus became very crowded. A white man had no place to sit. The bus driver approached the seat where Rosa and 3 others were sitting and told them to stand so that the lone white man could have that seat to himself. Three of the African Americans stood up. But Rosa did not. She slid over in the seat and indicated that there was room for the white man to sit as well. The bus driver insisted that she move, but she continued to refuse. The police were called, and Rosa Parks was arrested. The NAACP bailed Rosa out of jail, and encouraged her to attempt to fight the charges in court. They organized a citywide boycott and encouraged all African Americans to not ride Montgomery city busses until the law was changed and African Americans were given the same rights on busses as white riders. The boycott was successful. Many of the city busses had few riders. 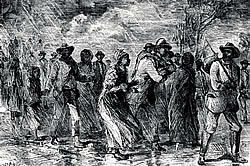 It was inconvenient for the African American community to walk, carpool, and find other methods of transportation, but they persisted. What role did Martin Luther King play in the Montgomery bus boycott? Who were some of the other women who were arrested for refusing to give up their seats on busses? How long did the bus boycott continue? What were the results of the court case? How did the boycott affect other cities and communities as they fought for civil rights? What was Rosa's life like after the boycott and court case? What contributions did Rosa Parks make through her later years and until her death in 2005? 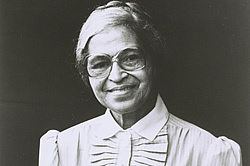 Utah's Online Library has many resources for students to discover more about Rosa Parks. The Library of Congress (the link is in Utah's Online Library in the section called General Resources) has hundreds of photographs of Rosa Parks available online for students to use as part of their research. EBSCO's History Reference Center and Biography Reference Center have information about her life and the Civil Rights Movement. Gale's Kids InfoBits Grades K-6 has images, book excerpts, and over 100 magazine articles about Ms. 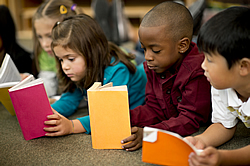 Parks that are at a reading level for primary-aged students. Gale's Research in Context Grades 6-8 contains biographical information, images, newspaper articles, and more than 300 magazine articles. In Gale's Reference Collection Grades 9-12, students can choose the Biography in Context database, the Virtual Reference Library, InfoTrac Student Edition, and Student Resources in Context to locate detailed information about Rosa Parks. These databases also are excellent resources to learn more about the Montgomery Bus Boycott and the Civil Rights Movement. Essential Question: How did Sojourner Truth contribute to the abolitionist movement? How was she part of the suffragette movement? How does her name reflect her life? 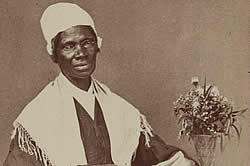 Sojourner Truth was born as Isabella Bomefree in New York in about 1797. She and her family were slaves owned by the Hardenbergh family. The Hardenberghs were Dutch, and Isabella and her parents spoke Dutch. Their master gave them the last name of Bomefree which is a Dutch word meaning "tree" because Isabella's father was such a tall man. How were the Bomefree's lives different from slaves living in the South? How were their lives the same? Have students create a Venn diagram comparing slaves in the North and South. Isabella's parents had 10-12 children. All of the children except for Isabella and her brother, Peter, were sold to other owners. When Isabella was about 11 years old, she was sold to the Neely family. This family spoke English, and Isabella only spoke Dutch. Her life was difficult with this family, and she was often beaten. Isabella was eventually purchased by Mr. Schryvers who was a fisherman, and she was able to learn English while working for him. She was then sold to the Dumont family, and she was owned by them for many years. She married a slave also owned by the Dumonts, and they had several children. New York state passed a law in 1824 that said that all slaves born before 1799 would have their freedom on July 4, 1827. The freedom process did not go smoothly for Isabella. Have students research the difficult and complicated circumstances of Isabella gaining her freedom from the Dumont family. Why did she change her name to Isabella Van Wagener? Her children were not born before 1799; how did they gain their freedom? What were the particular circumstances of Isabella's son, Peter (named after her brother), gaining his freedom? In 1843, Isabella changed her name to Soujourner Truth. Why? What was her life like after 1843? Describe Soujourner's efforts in working with suffragists. In 1851 or 1852, Sojourner Truth gave a famous speech entitled Ain't I a Woman? In what context was this speech given? How is it reflective of the time period? You can find the full text of this speech in Utah's Online Library through EBSCO's Literary Reference Center. Gale's Reference Collection Grades 9-12 has many articles and essays about this speech. The speech is written through people's recollections and notes. Sojourner Truth never had the opportunity to learn to read or write. How was Sojourner active in the abolitionist movement? What did she do during the Civil War? Describe her visit to the White House to visit with President Lincoln. Describe her work after the Civil War with the Federal Freedman's Bureau. In 1850, how did the book, The Narrative of Sojourner Truth come to be written? For elementary students, Gale's Kids InfoBits Grades K-6 and EBSCO's Explora Elemenary, Middle School and High School has biographical information about Sojourner Truth at appropriate reading levels. Gale's Research in Context Grades 6-8 has magazine articles, biographic information, book chapters, and primary sources. Gale's Reference Collection Grades 9-12 has hundreds of in-depth resources for secondary students to learn about Sojourner Truth, the Civil War, and many topics concerning women's rights. Essential Question: What decisions do we all make about freedom? Have your students write a 1st person narrative from the viewpoint of a slave who followed the Underground Railroad to escape to Canada to freedom. Include where he/she started, the way stations along the route, information about the people who helped, risks and dangers encountered, etc. Within Utah's Online Library the following resources contain excellent information about the Underground Railroad. These resources contain a collection of magazine/journal articles, newspaper articles, encyclopedic information, photographs, audio files, websites, videos, and primary sources about the Underground Railroad. What Do We Know About Samoset, Squanto, and Massasoit? Essential Question: How did Native Americans help the Mayflower passengers who settled in Plymouth Colony be successful? The first few years in Plymouth Colony were extremely difficult for the new colonists. Many were sick. 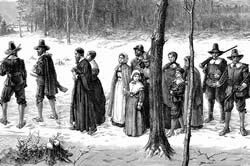 Almost half of the 102 passengers who initially arrived aboard the Mayflower died from cold and exposure, from malnutrition, and from sickness. A Native American named Samoset was helpful to the colonists and introduced them to other tribesmen. Samoset had learned to speak English from English fishermen and traders who had frequented the area in previous years. Squanto was another Native American who spoke English and who helped the pilgrims learn more effective planting techniques for their crops and introduced them to native crops that grew well in the area. The Wampanoag Native American leader, Massasoit also was beneficial to the pilgrims establishing their new colony. Gale's Kids Infobits contains 31 magazine articles, 6 book entries, and 2 illustrations about Squanto. It contains 12 magazine articles and 3 book entries about Samoset. It contains 15 magazine articles, 8 book entries, and 2 illustrations about Massasoit. EBSCO's Explora Elementary contains 17 magazine articles, and 5 entries from biographical databases about Squanto. It contains 1 magazine articles and 2 entries from biographic databases about Samoset. It also contains 45 magazine articles, and 7 entries from biographical databases about Massasoit. Having students use magazine/journal articles for part of their research is an excellent exercise in developing information literacy as they browse through articles to synthesize information to suit their learning objectives. After gathering further information about the Native American of their choice, have students create an acrostic poem about Samoset, Squanto, or Massasoit. At the bottom of their poem, they should add supporting facts to validate the individual words that they chose. For example, if their person is Massasoit, and they choose the word "awesome" for the letter a in his name---at the bottom of their poem, they need to provide information about his life gained from their research to support their claim that he was awesome. What's Up with Yankee Doodle? We all know about Mr. Doodle. He went to town. He rode a pony. He liked embellished headwear. But what does that song really mean? What are its origins? What does it have to do with the American Revolution? Have your students visit Utah's Online Library's World Book Encyclopedia to find out more. Then send them to Soundzabound to listen to the actual tune. Don't confuse Yankee Doodle with Yankee Doodle Dandy. They are two totally different songs. 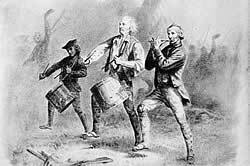 Information Tidbit: Yankee Doodle is Connecticut's official state song. Essential Question: Why are the Middle Ages or medieval times sometimes called the Dark Ages? 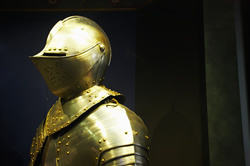 Have your students create a list of some of the reasons that the Middle ages were often referred to as the Dark Ages. Have their list reflect some of the social, political, economic, religious, and cultural aspects of life in Europe during this period. Then have them choose one of these aspects and write a 1-page description of how this aspect changed over time to help create an environment for the birth of the European Renaissance. 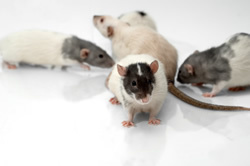 Sailors and Rats and Fleas - Oh My! Essential Question: How can disease affect the course of history? What was the Black Death? What were the origins of this disease? What was the actual disease that became known as the Black Death? How did it spread? How was it treated? About how many people died? What areas of the world were affected? How did it affect human behavior? What social changes came about as a result of this disease? What was the historical significance of the Black Death? Essential Question: How can we learn from the past? There are easy and convenient online resources available to facilitate the following part of 8th grade Social Studies core: Students will investigate the relationship between events of different time periods. Develop an awareness of current events. a. 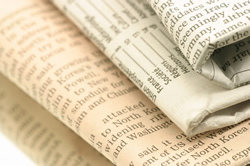 Use print and broadcast media to acquire an awareness of current events. b. Recognize the difference between fact and opinion, and discern bias in the media. Analyze how contemporary concerns and events affect and are affected by history. a. Apply knowledge of historical events to recent major events. Did you know that Utah's Online Library contains current (as well as archived) newspapers from around the world? Gale’s InfoTrac Newstand database contains 1,100 major U.S. regional, national, and local newspapers. It also contains worldwide newspapers. This full-text newspaper resource allows users to search articles instantly by title, headline, date, author, or newspaper section. It also includes thousands of images, radio and TV broadcasts, and transcripts. Students can find comprehensive coverage of current events, including national, global and regional perspectives, as well as first-hand accounts of historical events. 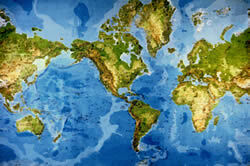 Essential Question: How can the study of geography help us to better understand the world? Antarctica is an ice-covered continent. It is 1.5 times bigger than the United States. It is the coldest place on Earth. Antarctica has its own bodies of water. It has 300-400 subglacial lakes. Most of the lakes lie beneath thick ice sheets, and many of the lakes are still liquid beneath their thick covering of ice. Antarctica's largest lake is Lake Vostok. Have your students use Utah's Online Library's useful Gale resources to discover 5 facts about Lake Vostok. Antarctica's highest mountain is Vinson Massif. Have students compare and contrast this mountain with Mt. Everest, K2, or Denali (Mount McKinley) in terms of height, weather conditions, and geologic origins. Describe how the Transantarctic Mountains which run across the southwest part of the continent contribute to the weather conditions on the continent. Besides the main Antarctic continent, what are some of the main islands that are part of the country/continent of Antarctica? Mount Erebus is an active volcano on Antarctica. Where on the continent is it located? Describe how often it erupts and the effects of its eruptions on the surrounding areas. What are some of the inactive volcanoes on Antarctica? The South Pole is an actual specific spot on the continent of Antarctica and designates the southern end of the Earth. How is the spot marked? What kinds of man-made physical structures are nearby the pole? The actual location of the South Pole has to frequently be re-located and re-marked. Why? The temperature on Antarctica can get as low as -120 Fahrenheit. Have your students describe weather conditions in general for this cold continent. How does the weather differ from summer to winter? The Southern Ocean surrounds Antarctica. Parts of the ocean freeze during the Antarctic winter and make the continent almost twice as big as during the warmer summer months. Have students use the Gale Reference Collection to research animal and plant life in the cold Southern Ocean. Antarctica has the cleanest air on Earth. Why? Antarctica is often considered to be the windiest place on earth. What are the geographic conditions and weather patterns that make this continent so windy? Describe the glaciers on Antarctica. How are glaciers related to icebergs? Describe the Lambert Glacier. Much of Antarctica is considered to be a desert. Why? What animals live on Antarctica? What adaptations help the land and ocean animals live successfully in the cold environment? Describe how plants such as lichen and algae have adapted to living on this cold continent. Antarctica does not have its own government. It is watched over and governed by 29 countries that work together to protect the environment and create organizations for further research and study of the continent. What are some of the countries that "govern" Antarctica? Gale's Global Issues in Context can help students learn about the unique governing body of Antarctica. Does Antarctica have permanent human residents? About how many people are usually living on the continent at any given time? Have students describe what the research stations on Antarctica are like. What are some of the things that scientists who live in the research stations are studying? Besides scientists, what other occupations do inhabitants of the research stations have? James Clark Ross, Robert Falcon Scott, Ernest Shackleton, Roald Amundsen---how are they associated with Antarctica? Have student use the Gale's Biography in Context to discover further information about these men. There are so many things to study and learn about Antarctica. 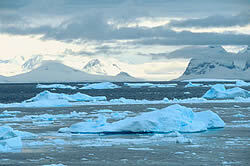 Utah's Online Library has hundreds of articles to help students with their Antarctic research. Essential Question: How are continents different from countries? Seven continents! Students can find numerous resources and concentrated information about each continent in Utah's Online Library's World Book Encyclopedia. World Book is so versatile and has many sections that we sometimes overlook. Select World Book from the main Utah's Online Library's page. Then choose World Book Discover. You will notice that the Discover portion of World Book contains great information covering many curricular topics. Choose Places from the menu on the right. Then choose Continents from the menu on the left. Which continent is the largest? Which is the smallest? What are some of the most prominent physical features of each continent? How many countries make up each continent (for example, 50 countries make up Asia). Which continent is both a country and a continent? Are the middle eastern countries of Saudi Arabia, Iran, Iraq, Kuwait, etc. part of the European continent or the Asian continent? Example: Abigail Adams never sang around earless aliens. 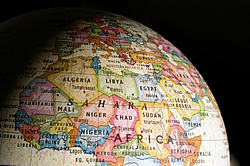 eMedia has numerous excellent videos about continents in general and continents individually. Essential Question: Why should we be interested in other countries and cultures? What can we learn from them? Culturegrams is one of the most interesting databases in Utah's Online Library. It is a fascinating collection of historical, geographical, and cultural data about the world. 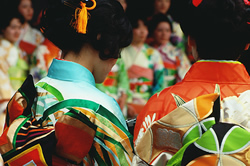 Culturegrams provides information about 200 countries, each U.S. state, and all 13 Canadian provinces and territories. Culturegrams is a unique resource because it goes beyond facts and figures and provides "an insider's perspective on daily life and culture, including the history, customs, and lifestyles of the world's people". Culturegrams uses native authors to document the details of each country's traditions. Steer your students in the direction of Culturegrams for engaging information about the world that we live in. Essential Question: What role have boundaries played in world and/or American history? How is the Mason-Dixon Line a geographical, political, and cultural boundary? Charles Mason and Jeremiah Dixon were 18th century English astronomers. 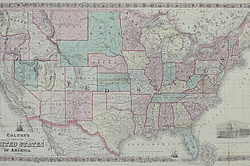 In an effort to resolve boundary conflicts between the new colonies of Pennsylvania, Maryland, and eventually Delaware, Mason and Dixon travelled to America to survey the disputed boundaries. Because they were astronomers, they used the best astronomical technologies of the day in their survey. The results of their work still stand today. Who were the "movers and shakers" of the time who got Mason and Dixon involved? Why were the boundaries disputed in the first place? How was King George of England involved? How were Lord Baltimore and William Penn involved? What were some of the issues involved with the necessity to travel through and work and survey in lands belonging to Native Americans? The Mason-Dixon Line became established in 1768. It is said that the Mason-Dixon Line eventually became a cultural division. What does that mean? What part did the Mason-Dixon Line play in the 1800s during the Civil War? Utah's Online Library can provide your students with credible information about the early American colonies and the efforts of Mason and Dixon. The Gale Virtual Reference Library, Gale Student Resources in Context, and EBSCO's Databases are good places to start. Essential Question: What can we learn today from the Baby Boomer generation? Your students are creating videos, podcasts, and other multimedia presentations as they investigate the post-war Baby Boom's influence on America. Soundzabound, part of Utah's Online Library, is a database of royalty-free, copyright-friendly music that students can use in reports and presentations. They’ll find plenty of big band swing music to complement their Baby Boomer projects. Essential Question: How have women’s rights evolved over time? 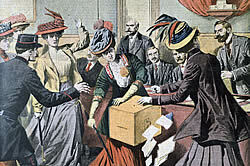 Suffrage is the right to vote in political elections. Who were the prominent suffragettes who furthered the movement for passing the 19th Amendment giving women the right to vote? What were other rights that women were sometimes denied in American history? Why was an amendment to the Constitution necessary in order to give women the right to vote? Gale’s Virtual Reference Library which is part of Utah's Online Library has abundant resources to help students in their study of women’s history. Essential question: Is it ever acceptable to violate a person’s human rights? Following the bombing of Pearl Harbor in 1941, the United States government gathered 120,000 Japanese-Americans from the west coast of the U.S. and relocated them to internment camps in the interior of the country. 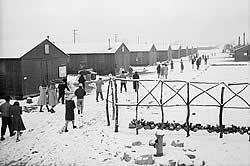 What was the government’s rationale for the creation of the internment camps? How long did these camps function? In what parts of the U.S. were they located? How were Japanese-Americans taken to the camps? What was daily life like for the inhabitants of the camps? What was Executive Order 9066, and what did it authorize? What happened to the property of the Japanese-Americans once they were able to return to their homes? Evaluate the government’s decision about relocation. Could this happen today? What are the constitutional issues concerning the internment of citizens? Were any Japanese-Americans ever found to have collaborated with the enemy or acted as spies? Did any Japanese-Americans serve in the U.S. military during World War II? What kind of reparations (if any) did the U.S. government eventually make to internment inhabitants? Create a propaganda poster about the internment process that the U.S. government might have used. Write diary entries from the point of view of a young person in an internment camp. Where were they from? Where was their camp? What were they able to bring with them? What did they have to leave behind? What was a typical day like? What did they miss about home? Write a newspaper article from the viewpoint of a publication such as the Los Angeles Times describing the relocation of Japanese-Americans. Write a newspaper article from the viewpoint of a local Japanese-American newspaper with primarily Japanese-American readers. Explore primary source photographs and diaries from the internment camps. Utah's Online Library contains numerous Gala databases to aid with any of these suggested activities. Gale Opposing Viewpoints in Context, Gale Discovering Collection, Gale Global Issues in Context, Gale InfoTrac Student Edition, and Gale Student Resources in Context all contain articles, scholarly journal entries, primary sources, encyclopedic information, and even audio recordings of interviews and lectures about the internment camps and the constitutional issues surrounding the relocations. The history of the Japanese-American internment camps is one instance of how the rights of different groups of Americans have varied through the history of the United States. Utah had a Japanese-American internment camp in Topaz near the city of Delta, this lesson could be adapted for 4th Grade. Essential Question: How is religion reflected in the daily lives of people? 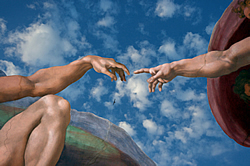 Have students choose a major world religion and create a presentation about its major tenets. Is there an area of the world where this religion is predominant? What are its origins? Who are the major deities? How are the tenets of the religion reflected in the everyday lives of the individuals who follow its beliefs? Direct students to the reliable resources in Utah's Online Library for their study of world religions. The EBSCO databases and specifically the History Reference Center have many articles from hundreds of worldwide periodicals and newspapers as well as encyclopedic information. Essential Question: How does learning a world language help us develop respect for diversity across world regions and cultures? Part of the core objectives for World Languages includes becoming familiar with cultural beliefs and values of other countries and learning about their everyday lives. Key core points include identifying holiday practices, habits of eating, habits of dress, and leisure activities. Also included in this core is the ability to identify geographical features and landmarks of the countries whose citizens speak the particular world language being studied. CultureGrams in Utah's Online Library is the perfect resource for students to learn about worldwide cultural practices, customs, and lifestyles as well as information about the history, economy, and geography of worldwide countries. The CultureGrams database is updated weekly and is a fascinating and comprehensive resources for the study of our world. Essential Question: How has Alexander Graham Bell's most important invention, the telephone, impacted the way we live? How has the influence of technology led to changes in society? Alexander Graham Bell's first words on his new invention, the telephone, were to his assistant, Thomas Watson. He said, "Mr. Watson--come here--I want to see you." Did you know that you can find further information about Mr. Bell in a database called Biography in Context which is part of the Gale Reference Collection in Utah's Online Library? You can find out that Alexander Graham Bell was born in Scotland and attended Edinburgh University. His father and grandfather were both elocution experts; elocution is the study of speaking clearly with correct pronunciation and with articulation. So it's no surprise that Alexander Bell was interested in designing a way to transmit vocal messages. He eventually moved to Canada and then to the United States. Alexander Graham Bell made a living teaching deaf students. He even taught Helen Keller! Alexander Bell married Mabel Hubbard who was deaf. In his later years, Alexander Graham Bell was president of the National Geographic Society. He was also very involved with aviation and breeding sheep. He was an accomplished and interesting man! World Book Encyclopedia has an excellent article about Mr. Bell where you can read about Mr. Bell's efforts to create a medical device that would locate bullets in the human body. He used this device on President James Garfield, the 34th President of the United States, who had been shot by an assassin in 1881. (Unfortunately. President Garfield still died). 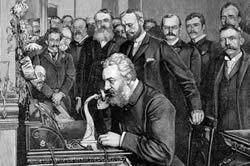 eMedia has a 23-minute social studies video called 19th Century Turning Points in U.S. History 1871-1881 which contains information about Alexander Graham Bell's invention of the telephone as well as other notable events during that time period. The information about Mr. Bell is located at minute 9:17 in the video. The EBSCO collection contains many resources about Alexander Graham Bell. The Science Reference Center contains journal and periodical articles about Mr. Bell. Explora Middle and High School as well as the Explora Elementary School also has magazine articles on the topic of Mr. Bell. In the section called General Resources, Utah's Online Library contains a link to the Library of Congress where you can find pictures of Alexander Graham Bell (he was known for his well-trimmed beard) and primary sources such as letters written to him by students, letters to him written by his wife, letters he penned to various people, and poetry he wrote. There is even a family tree showing Alexander Graham Bell's lineage.